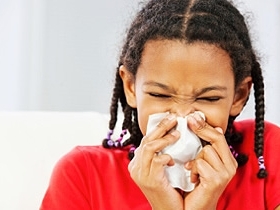 Reduce allergy symptoms by trying to stay indoors and keeping pollen out of your home. A runny nose, itchy eyes, dark circles under the eyes, and sneezing lasting more than 10 days are all symptoms of a possible allergy. If you think your child might have seasonal allergies, keeping an allergy log can help your pediatrician diagnose any problems. Utah usually experiences three different pollen seasons. In the spring we get tree pollen, in the summer it is grass and weed pollen, and in the late summer and fall it is ragweed. For those with allergies it can almost make you wish for the snow to show up again! But by following these simple tips when your allergies are at their worst, you can hopefully get a little relief. Try to stay in doors as much as possible, especially on windy days. If you do go outside, change your clothes, wash them right away, and if possible take a shower. This will help keep the pollen out of your house.